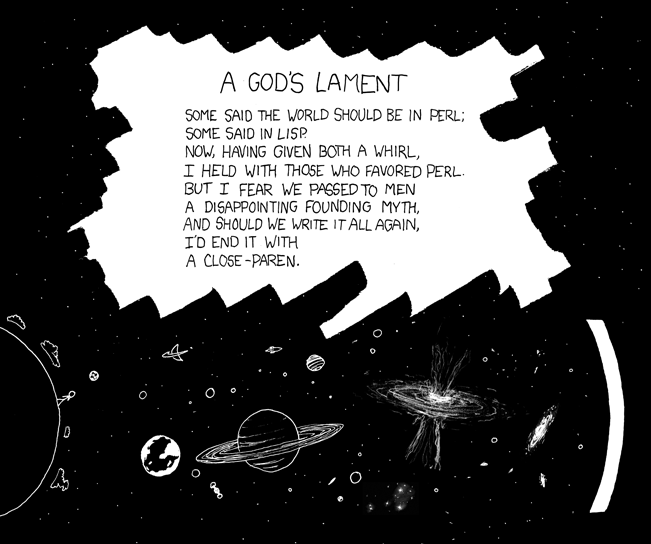 A God's Lament Some said the world should be in Perl; Some said in Lisp. Now, having given both a whirl, I held with those who favored Perl. But I fear we passed to men A disappointing founding myth, And should we write it all again, I'd end it with A close-paren.